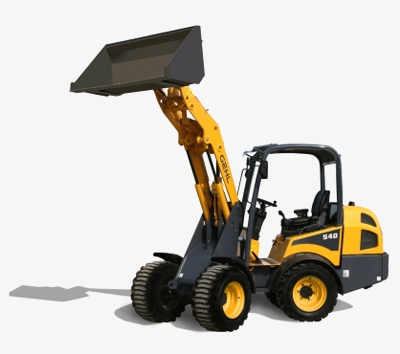 Articulated loaders are available in various lifting capacities of up to 1 161 kgs, with a wide range of accredited accessories and attachments, making operations highly profitable and flexible. Designed with durability and safety in mind, Gehl articulated loaders carry a series of both international and locally-recognised certifications and accreditation. Dynamic design to get the job done faster! Ideally suited for the mining, construction, or agriculture industry. While loaders are inherently manoeuvrable vehicles, the articulated versions enhance navigation in tight places with chassis angles of up to 45 degrees, while causing minimal ground disturbance and damage, delivering powerful lift functionality for confined material handling applications. These machines can be equipped with a wide range of over 100 standard and customisable attachments to offer exceptional, versatile utility in construction, mining, agriculture, warehousing, logistics, general industry and forestry. Manitou's articulated loaders deliver the most manoeuvrable handling of one ton weights! The AL 140's articulated steering with angles up to 45° offer excellent manoeuvrability and has the All-Tach® Mounting System as standard. 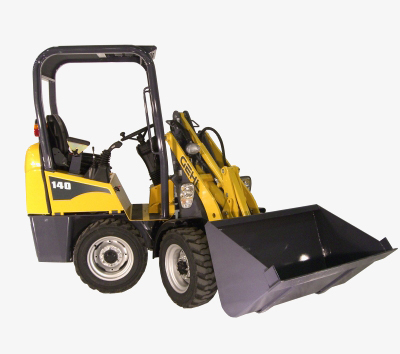 The AL 340 has a 1 161 kg rated operating load and is available in 4-post and cab variations. Available in 4-post and cab variations, this model has a self-propelled electric articulating boom lift and 6.87 m max. outreach. A button on the joystick also activates float and differential lock functions. Articulated loaders operator stations come standard with suspension seats placed above the load. This creates 360° visibility – increasing safety and efficiency. The Manitou range of material handling equipment, comes standard with a 12 month (or 2 000 hour) warranty. Extended warranties are available on request. Read more about our warranty offering. 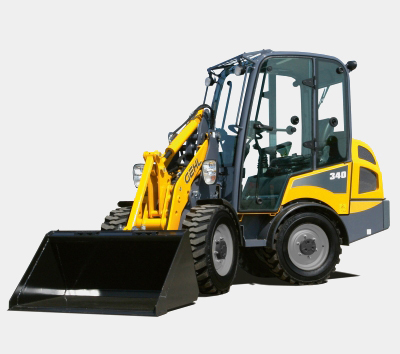 Impeccable service and support is available for all Gehl articulated loaders in South Africa and neighbouring countries. Take advantage of our rough terrain expertise and experience to meet all of your material handling needs! Articulated loaders are available in multiple locations in South Africa, including Johannesburg, Port Elizabeth and Cape Town, with 95% articulated loaders parts available and guaranteed 48 hour delivery services.